Recognizing the most popular music artists and albums of 2014, the most awaited event of the year finally arrived on November 23, 2014 at the Nokia Theatre L.A. Live in Los Angeles, California. The happening was declared as a grand evening of music and harmony where the international music celebrities were cherished with plenty of love and admiration. Want to know what all went down at the American Awards 2014? You are lucky because we have brought the highlights of the most memorable moments of the AMAs, its nominations, and winners for you! So let’s freak out about the AMAs happenings. All of your favorite stars hit the stage that night for the epic music event and it was just downright amazing! It was not just Taylor, Selena and Ariana who were the only tuneful lures of the grand evening but Iggy Azalea, Jennifer Lopez, Mary J. Blige, Garth Brooks, Charli XCX, Fergie, Skylar Grey, Imagine Dragons, Jessie J, Wyclef Jean, Nicki Minaj and Sam Smith also hit the stage with their rocking performances. Did you just notice that array of the stars? That was some passionate and breathtaking goodness right there! Although the stage put up with many big stars’ performances but there were eight stars who stole the entire show. Taylor Swift, Jennifer Lopez, Fergie, Lorde, Nicki Minaj, Jessie J, Selena Gomez, and Ariana Grande were the stars who left everyone raving about the most. Pitbull had the honored to host the award show while Lance Bass, Jordin Sparks, Taryn Manning and Franke Grande also co-hosted the biggest grand event of the year 2014. The ceremony was an array of the amazing happenings, unforgettable moments, and a lot more right from the beginning to the end of the show. The AMAs is the awards that provide the music fans worldwide with the opportunity to vote their favorite stars for their performances in different categories. Like every years, the fans-voted based nominations were announced on October 13, 2014. The event gazed a few changes in the nomination and its categories like ‘the artist of the year’ category grew from five to ten nominations where Iggy faced off against Beyonce, John Legend and others for the trophy. Apart from that, ‘the single of the year’ category had an increase of two nominations and came up with five contenders this time. AMA nominees came in the competition after their fan interacted reflecting in Billboard Magazine and on Billboard.com, as well as album and digital singles sales, radio airplay, streaming and social activity. These dimensions were recorded by Billboard and its data associates partners, together with Nielsen Entertainment and Next Big Sound. With six nominations, Iggy Azalea was at the front of the nomination pack of the AMNs 2014. The Australian-born hot star was up for artist of the year, new artist of the year, single of the year, favorite female artist - pop/rock. Not only this, Iggy was the only celebrity who besides the above categories, also nominated for favorite artist and album in the rap/hip N hop. John Legend, Katy Perry, and Pharrell Williams were prominent nominees with five nominations each while Lorde stood up with four selections. 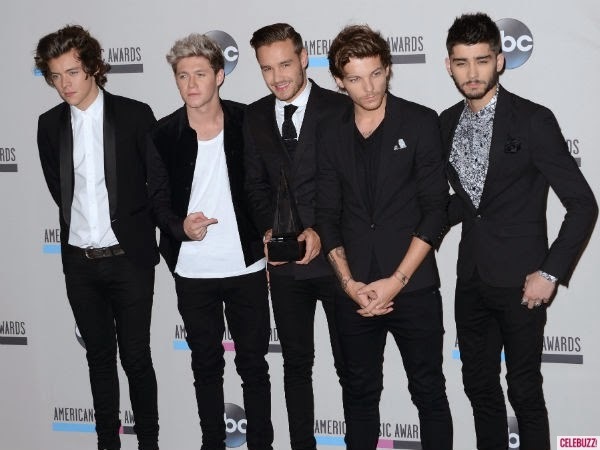 The British boy band’s ‘One Direction’ was honored with the big victory of the event that took home both the artist of the year trophy and was also named the favorite pop/rock band, duo or group. Leading as top nominee of the AMAs 2014, the Australian songstress Iggy Azalea was declared the winner of two awards including the favorite rap/hip-hop album admiration. The soulful British vocalist Sam Smith was honored with the favorite pop/rock male artist award. Katy Perry, Beyonce, and Luke Brayan also received nobility for their skills.